If you're an avid follower of my blog, then you know that I believe in cheap, street food. So what happens when I am invited to have an expensive Mexican dinner? Sure, I cringe at the thought of paying more than $25 per meal, but you have try everything once, right? 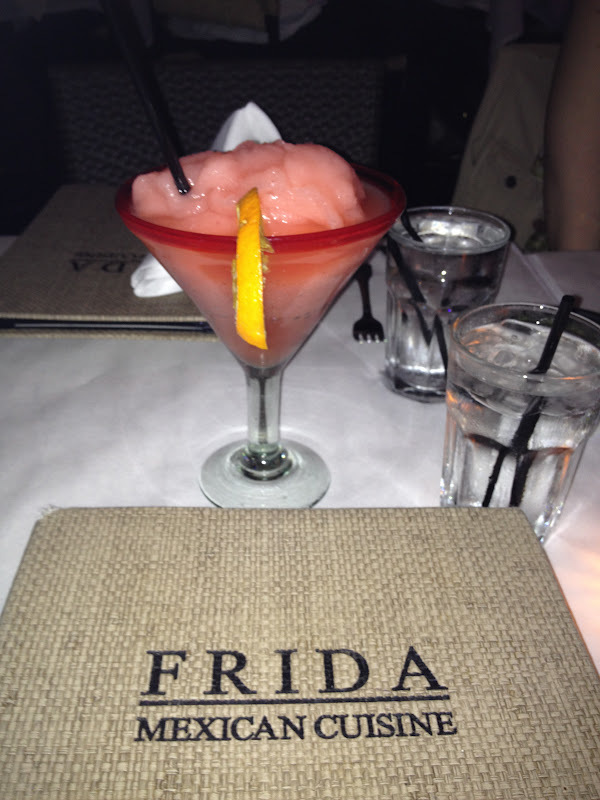 Enter Frida's Mexican Cuisine in Beverly Hills. Known for their slushy-like margaritas, we were treated to strawberry margaritas that tasted like something from 7-Eleven. The food... was delicious. Yes it hurt a bit knowing that we were paying so much for Mexican food but at least it was tummy. Me friends and I decided to share a plate. I mean look at that goodness ... topped with cheese and guacamole, etc. Although our main dish was yummy, I could have lived my life without it. I mean, after all it's kind of offensive spending so much for Mexican food when you can get cheap one-dollar Mexican food anywhere. I mean I do live in LA. But then came the steaming hot churro with caramel sauce. THAT was seriously to die for. I could have died and gone to heaven at that moment. Now that was worth coming back for! Now let's not forget that good Mexican food can be found on the streets. Enter El Taquito Mexican Truck in Pasadena. For all my 626 followers, let's not forget that it's on the border of Pasadena so it's quite close to San Marino. Don't be afraid to drive a bit! It's also close to Old Town Pasadena. Anyways this truck is awesome. 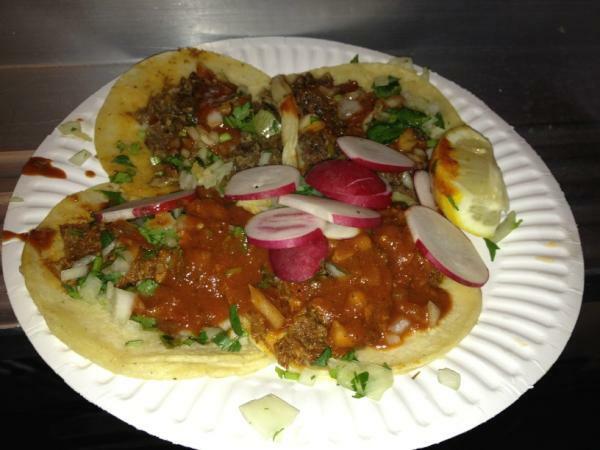 Their al pastor and lengua are amazing! It's a must try! Plus it's open late night for all your club rats or insomniacs out there.